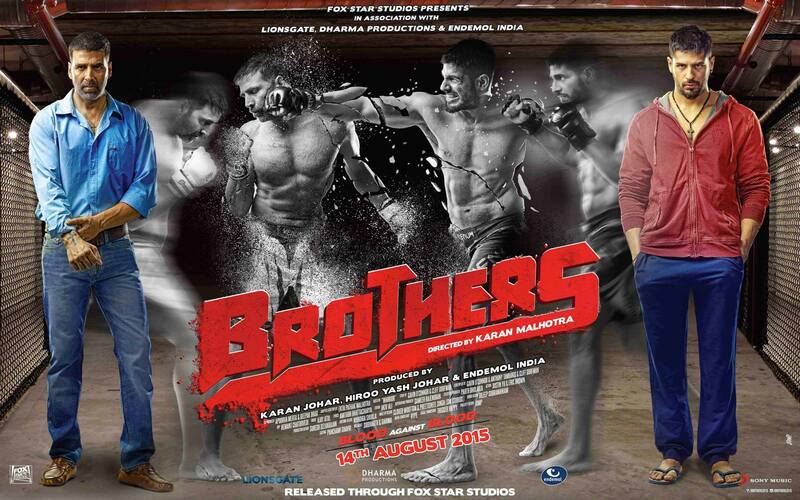 In the season where films have started doing well at the Box Office, Brothers has managed to find audience for itself over the weekend. If the start was good, if not phenomenal, there was some good escalation waiting to take place on the rest of the weekend. Saturday was always going to be the key for the film and the Karan Malhotra film managed to cross the 21 crore mark. Sunday didn’t see as many footfalls asSaturday but still did better than Friday, as a result of which around 53 crore* came in once the weekend was through. In the process, Akshay Kumar has now managed to get his biggest opening weekend after since Rowdy Rathore (48 crore) while Sidharth Malhotra too has gone past his Ek Villain (51 crore) record. Also, records of Akshay’s own this year, Gabbar Is Back (40 crore) and Baby (36 crore – First three days, since it was released on Thursday) are history. Fox has now managed to get a big opening after a major hiccup in the form of Bombay Velvet. On the other hand for Dharma Productions too, their last (delayed) release Ungli is a story of the past. Another release of the week, Gaur Hari Dastaan, was selectively reviewed and saw glowing write ups coming its way. However, the release was so sparse that the collections weren’t really notable. Better awareness around the Vinay Pathak and Konkona Sen Sharma starrer could have helped the cause at least marginally better. 16 queries in 1.049 seconds.